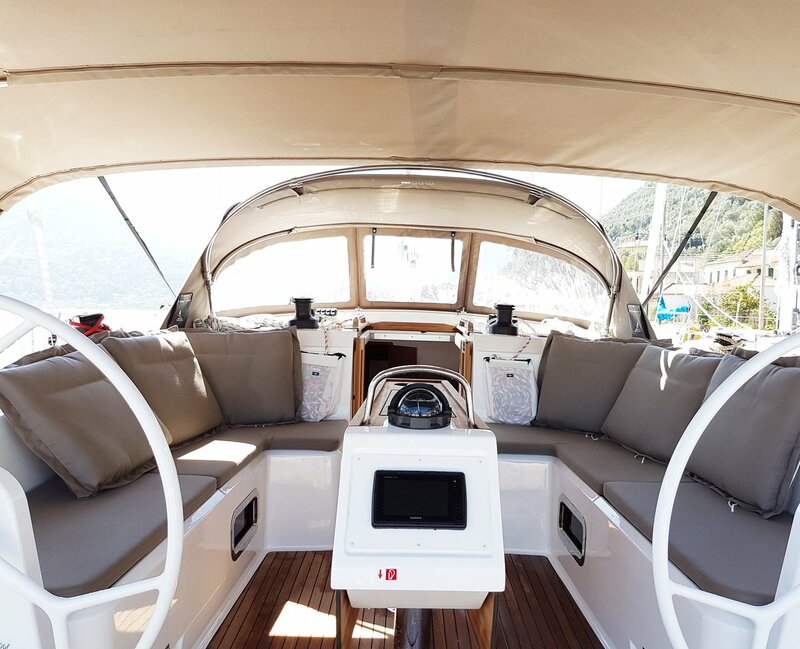 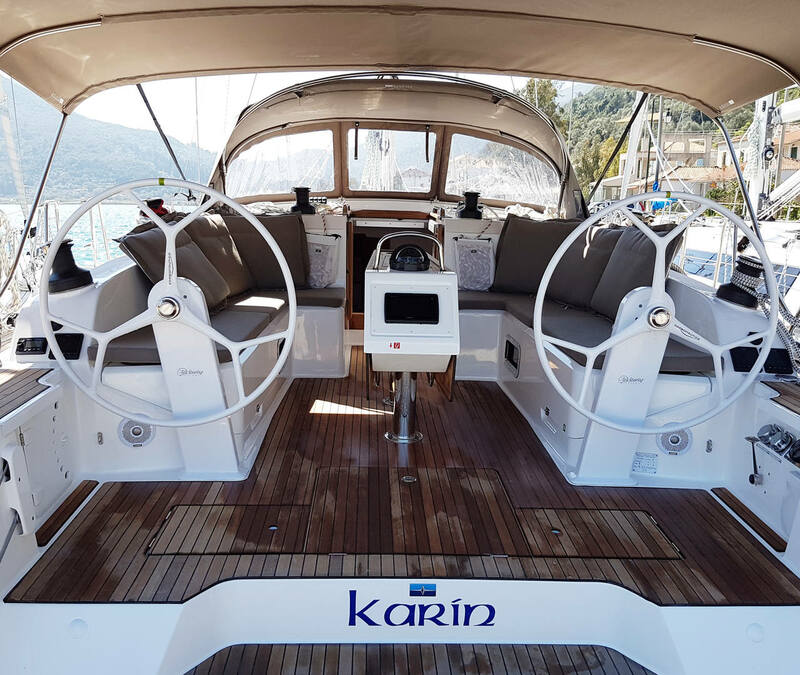 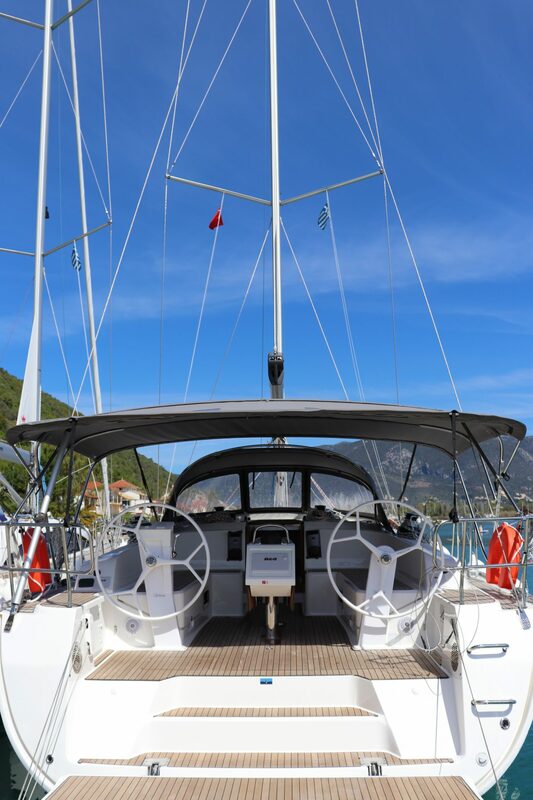 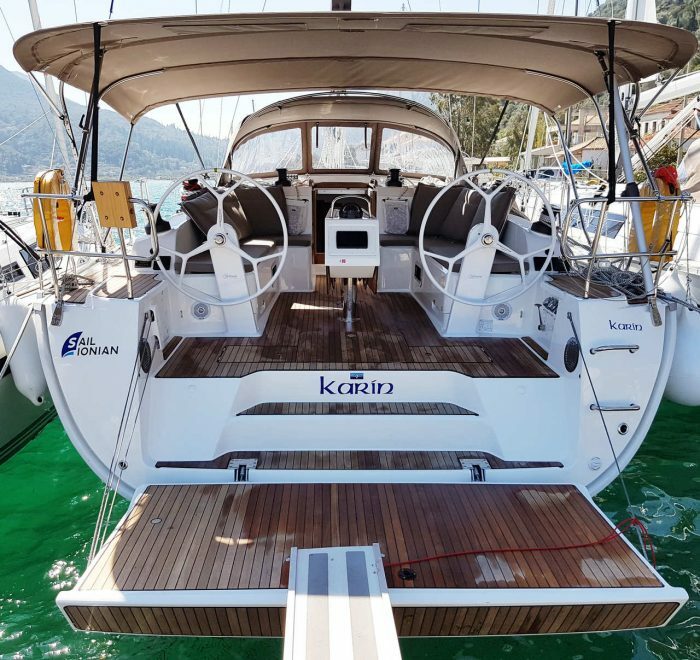 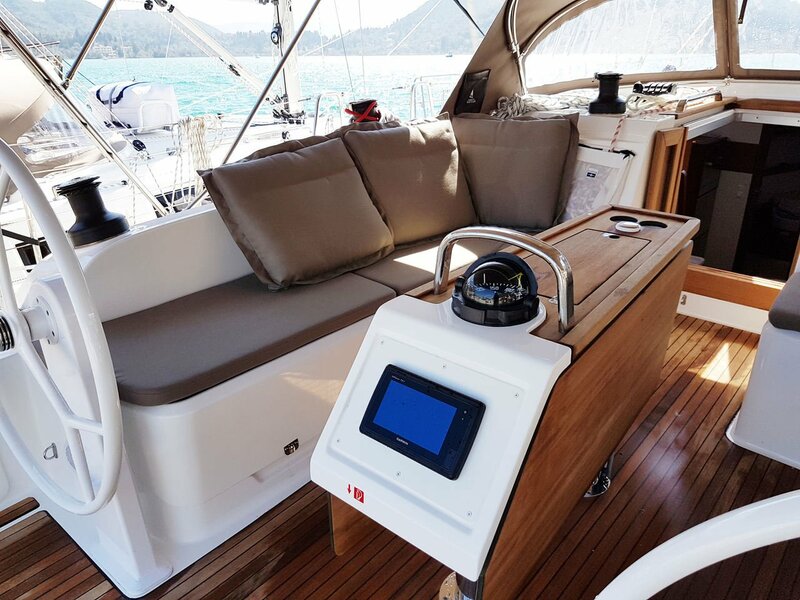 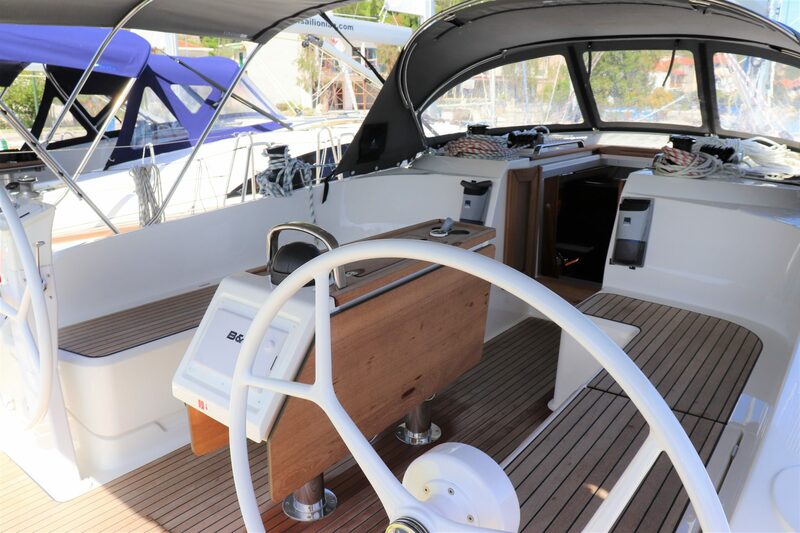 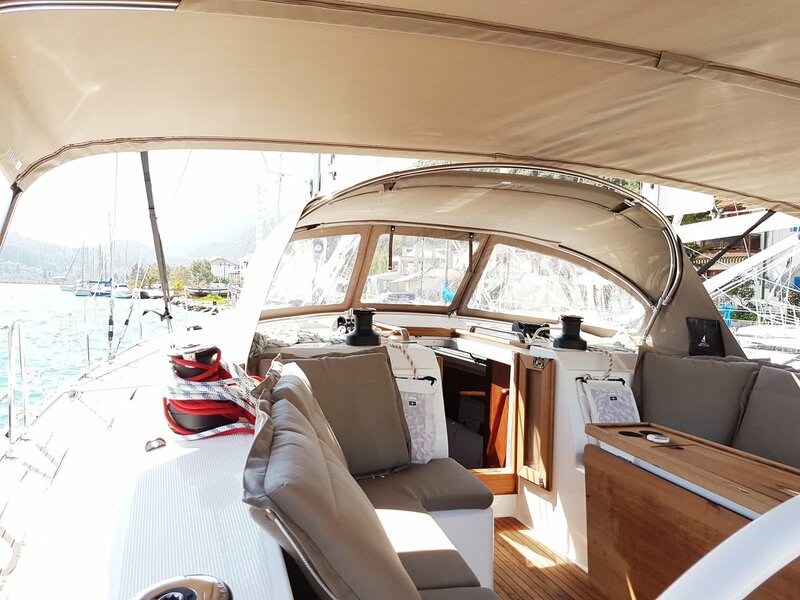 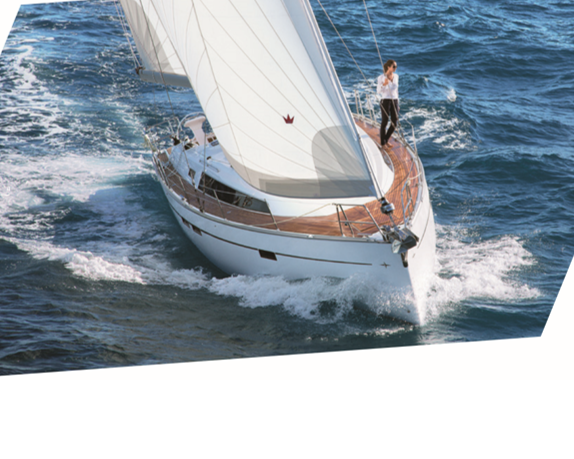 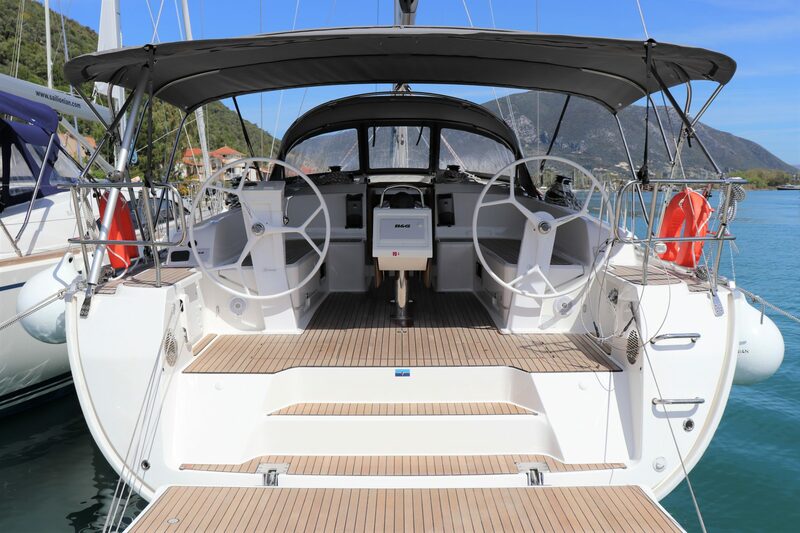 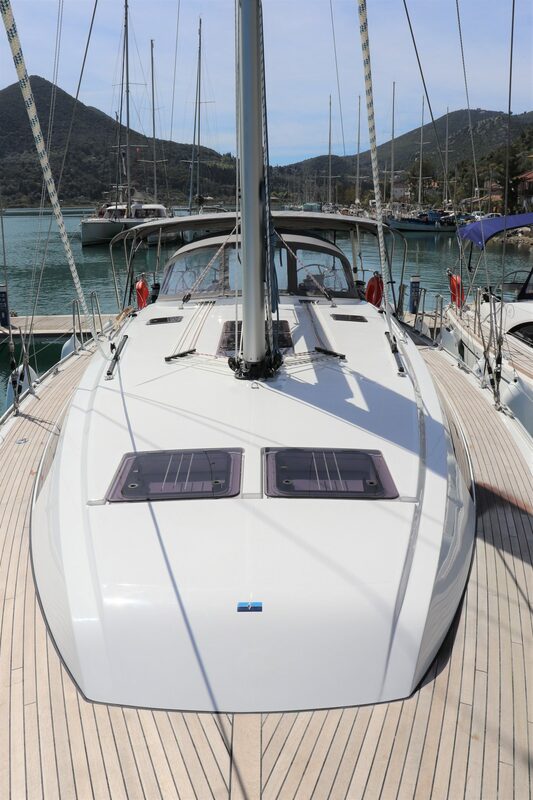 The Bavaria 46 Style is similar to the Cruiser 46 but has added features which take your breath away, due to the luxurious interior design. 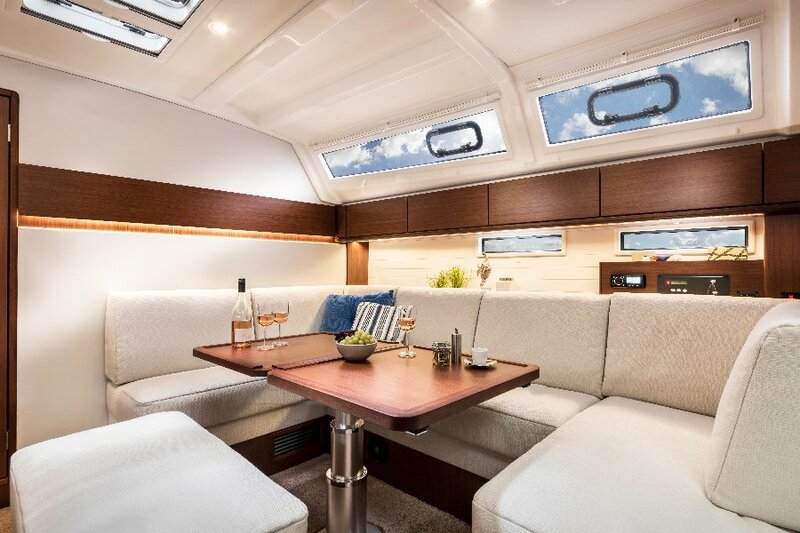 Stylish twin wheels in a large cockpit with comfortable seating allows guests to make the most of the on-deck space. 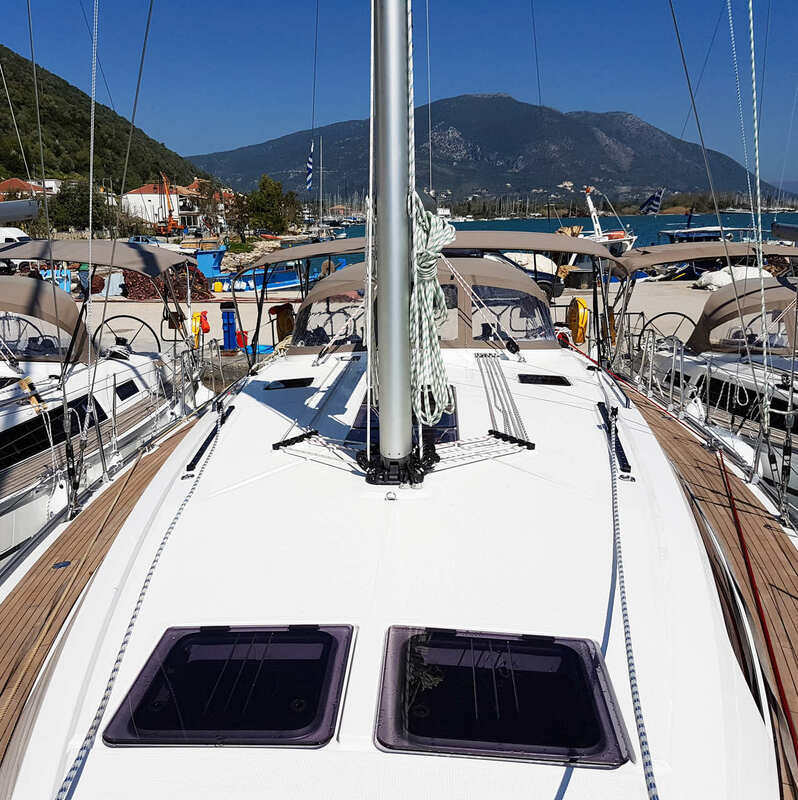 The deck space is extended by lowering the huge stern bathing platform which is used in harbour or that secluded bay. 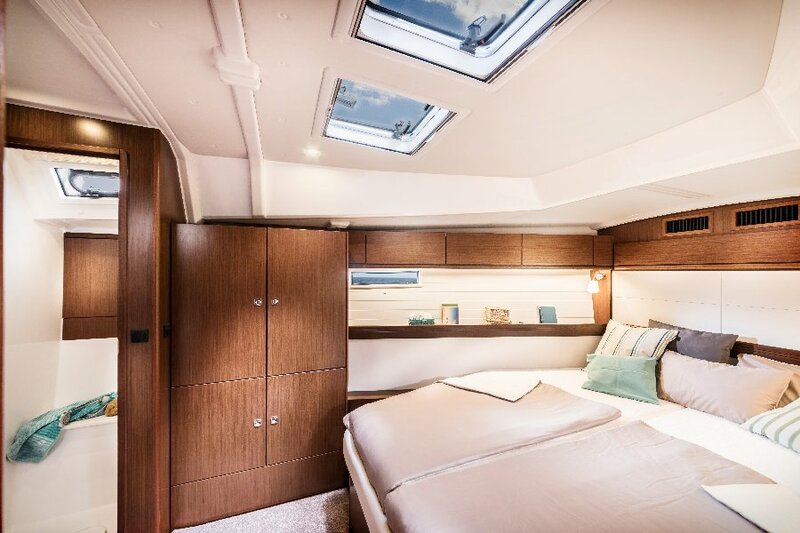 The 46 sleeps 6 comfortably in 3 large cabins. 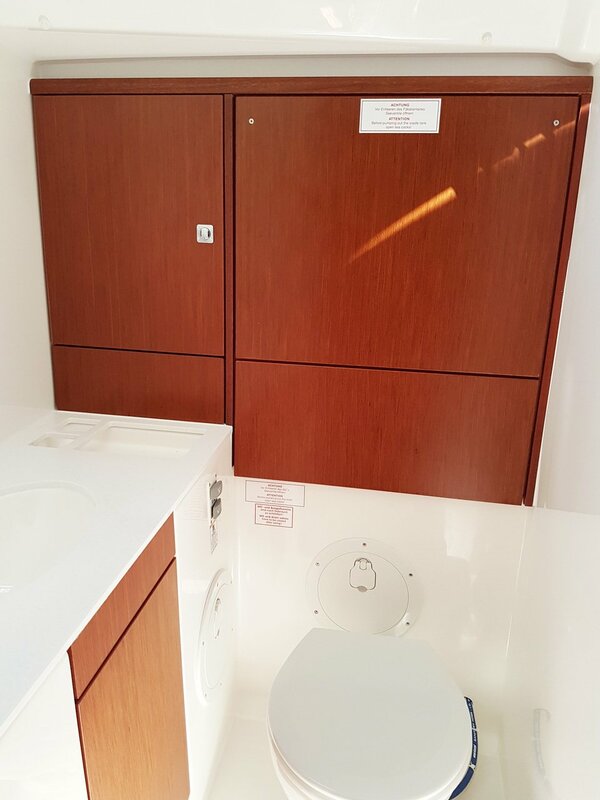 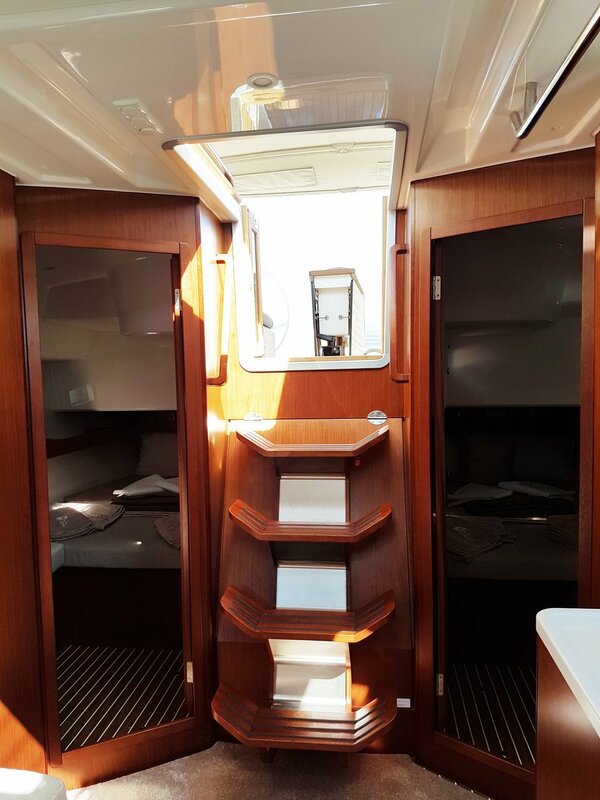 Additionally the saloon table lowers to make another large berth. 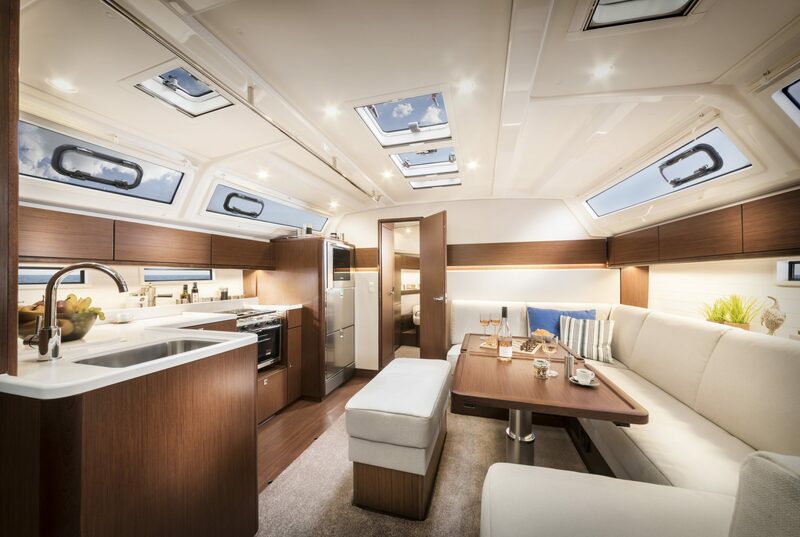 The 2 fridges are complemented by a freezer and furthermore the style features extend into the large luxurious bedrooms. 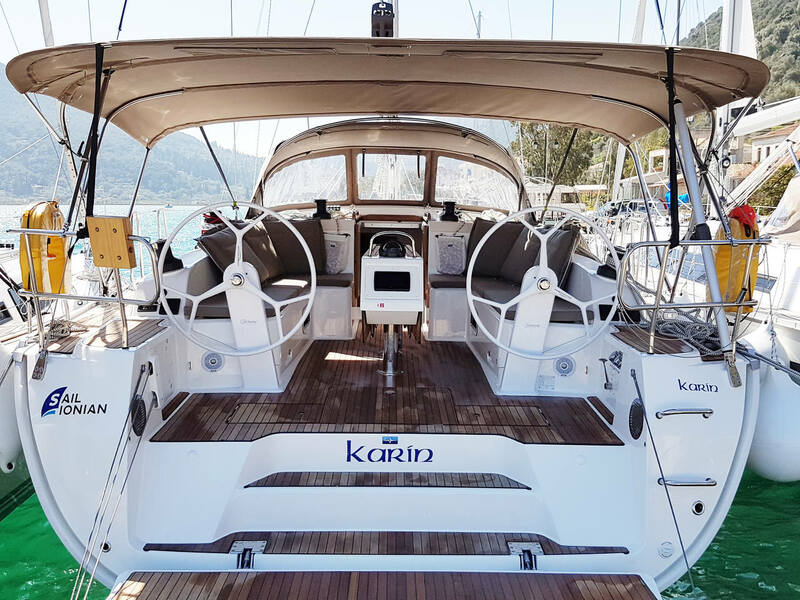 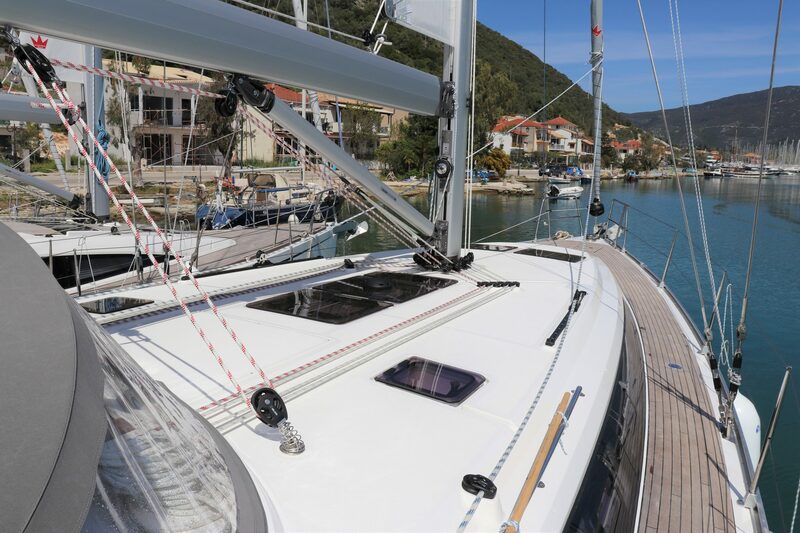 In addition to all the comforts on board, the Bavaria 46 Style offers yet another big plus: a healthy dose of performance sailing pleasure, coupled with safety. 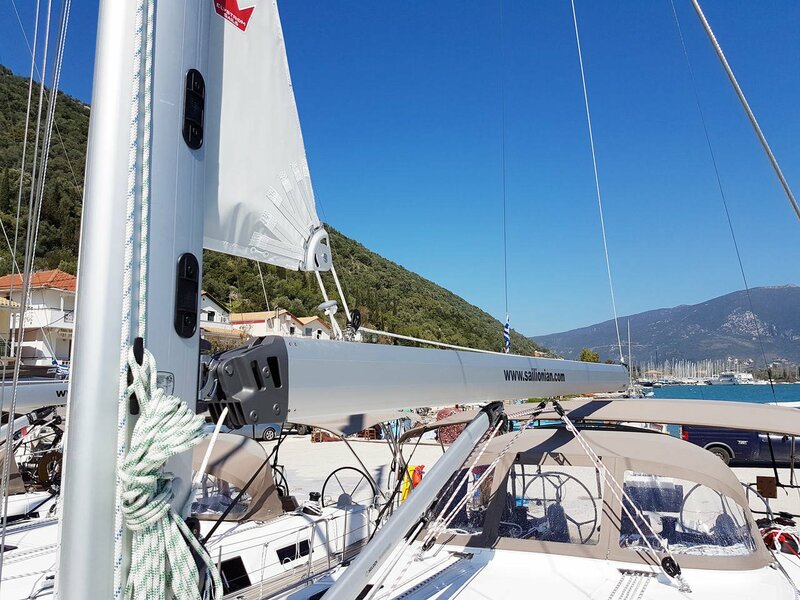 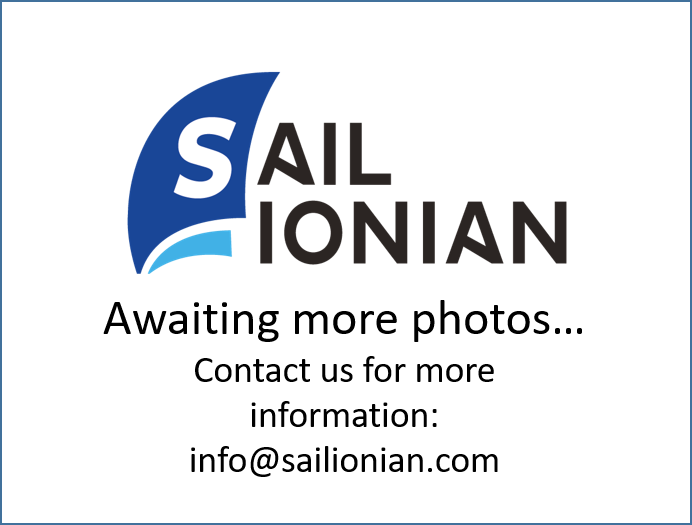 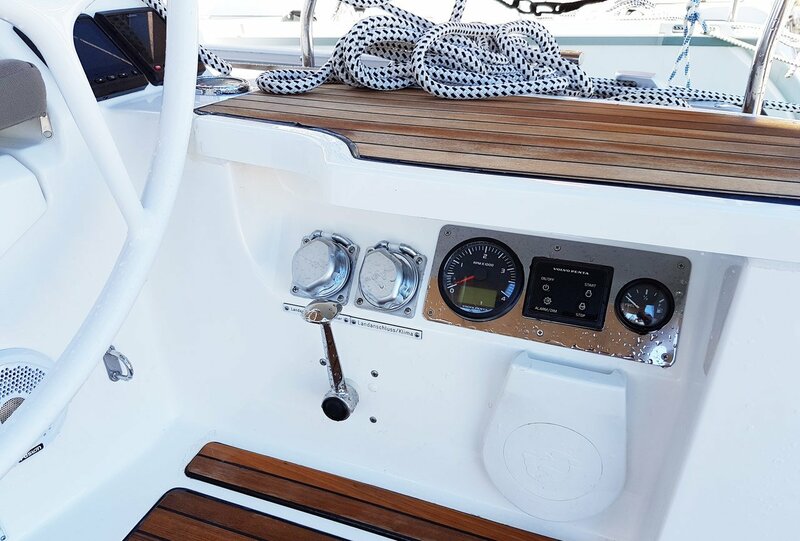 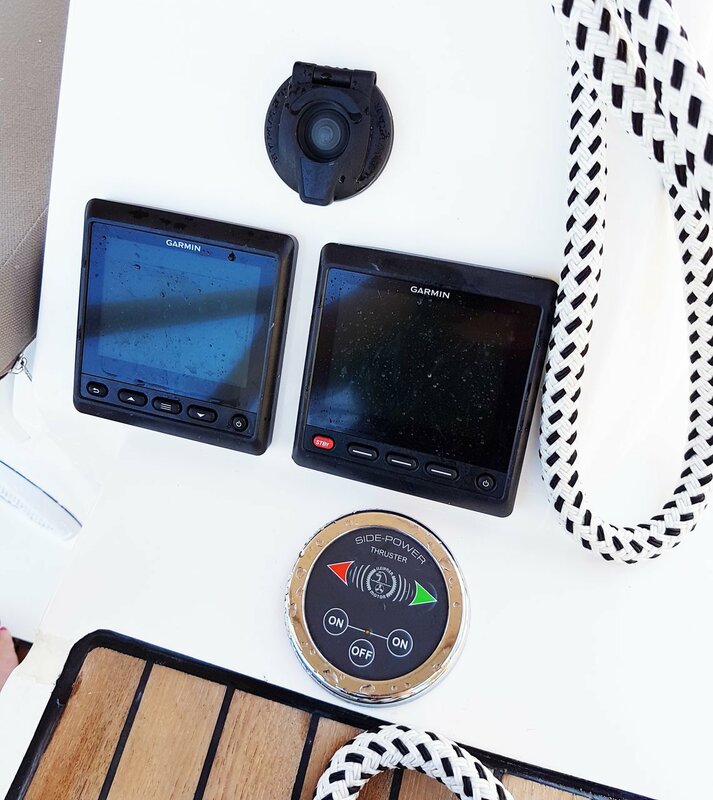 This is ensured by the boat’s double rudder blades, with these you can experience the pleasure of stable sailing in all conditions and on all courses. 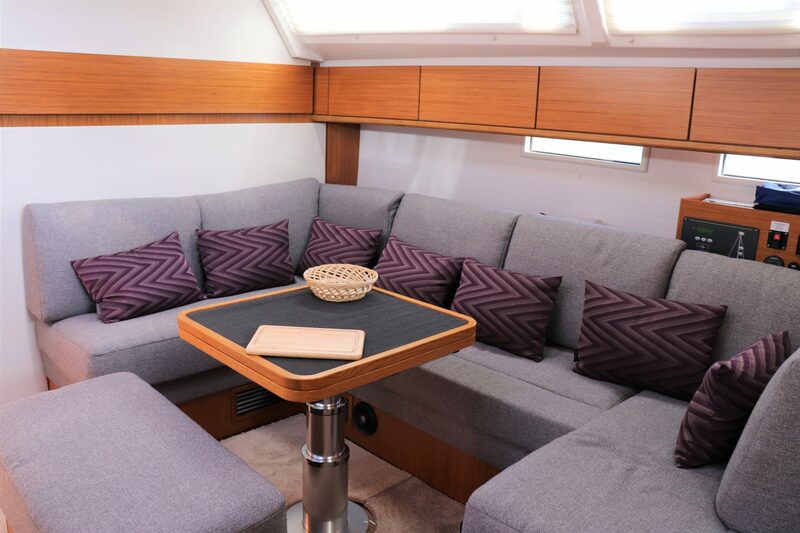 In the huge cockpit area relax and let the wind blow your hair back as you race across the water. 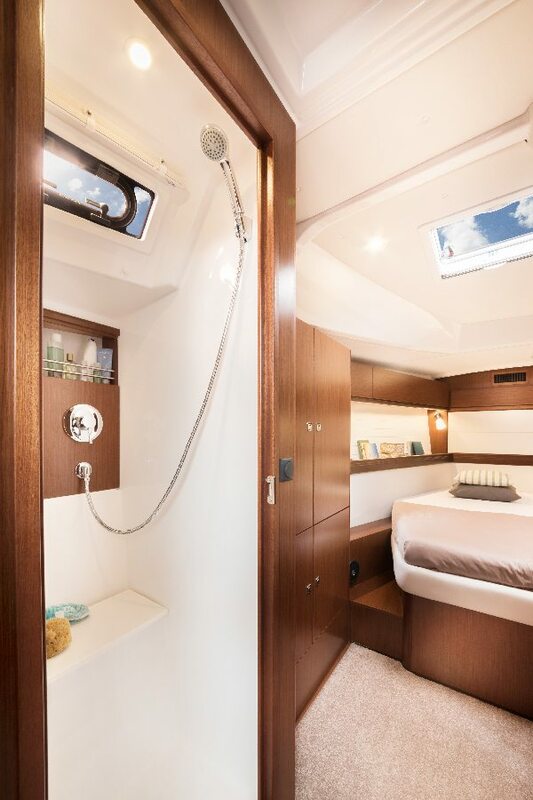 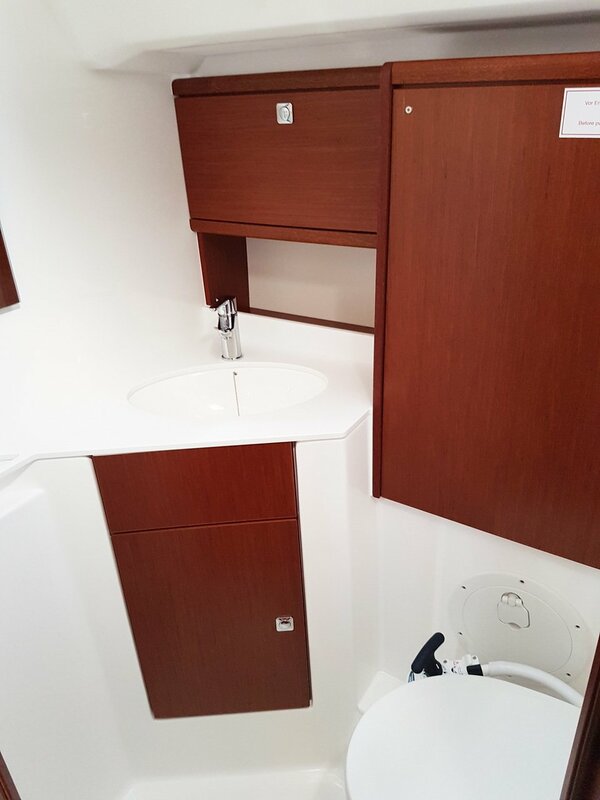 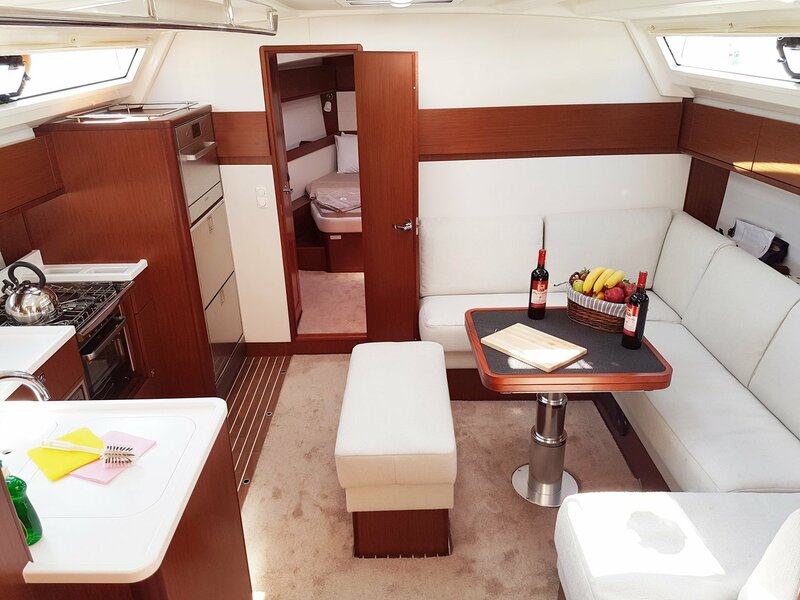 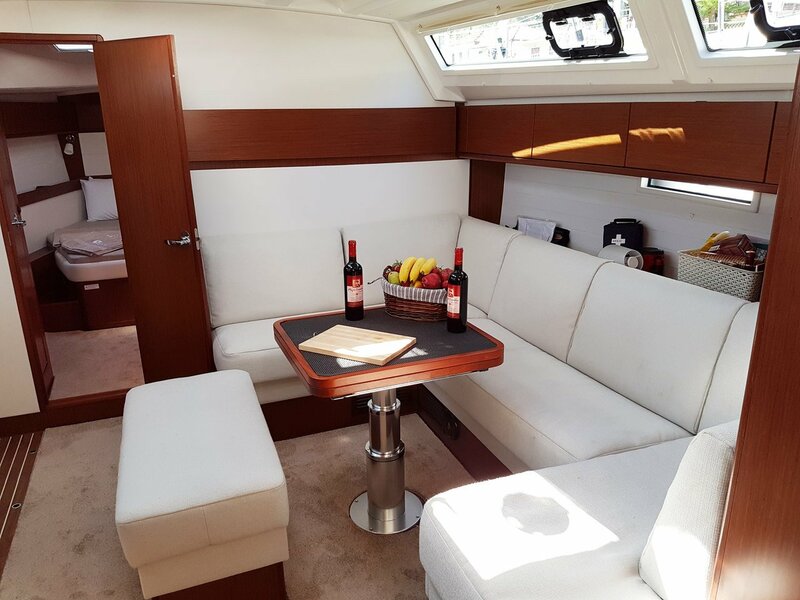 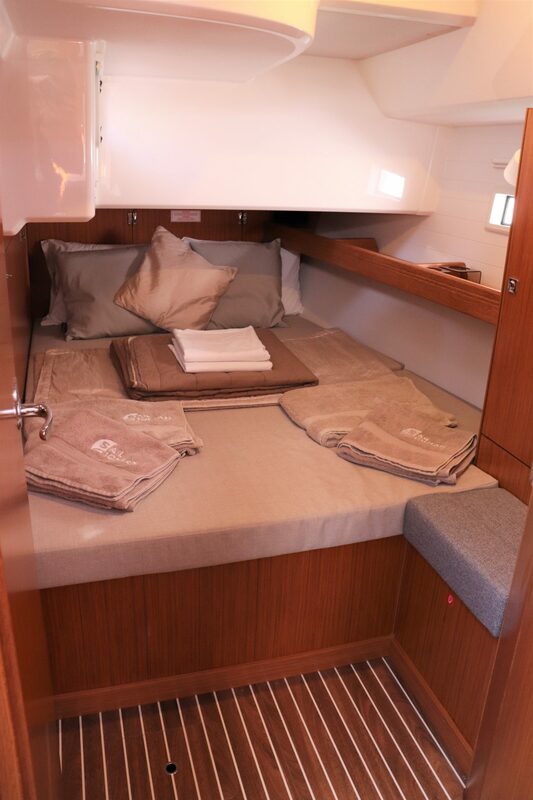 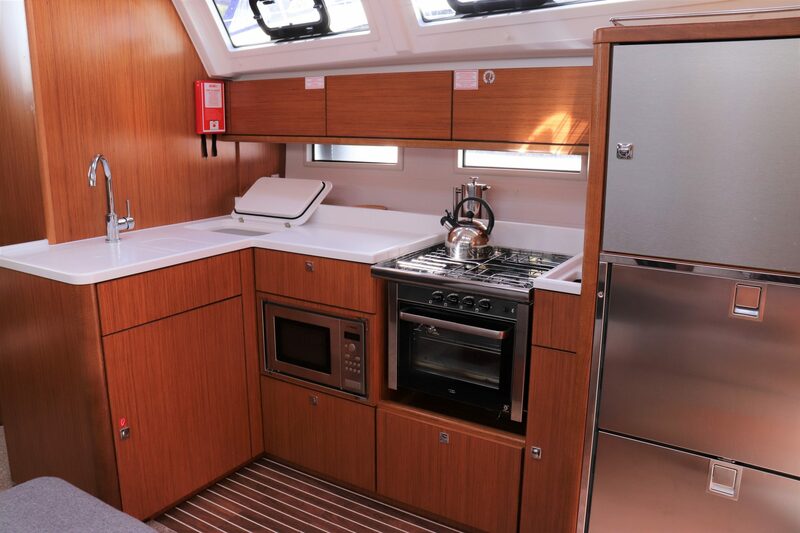 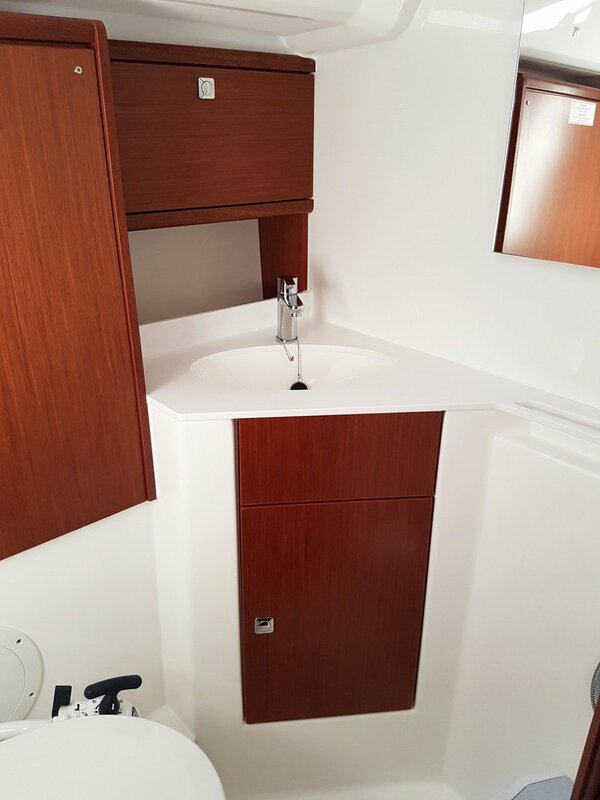 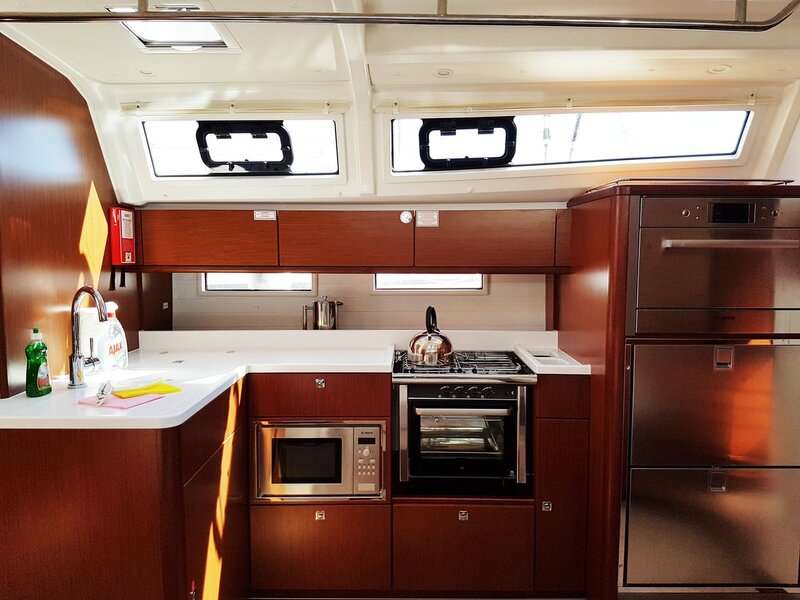 This BAVARIA 46 STYLE has new galley layout, high-grade stainless steel fridge, freezer and dishwasher. 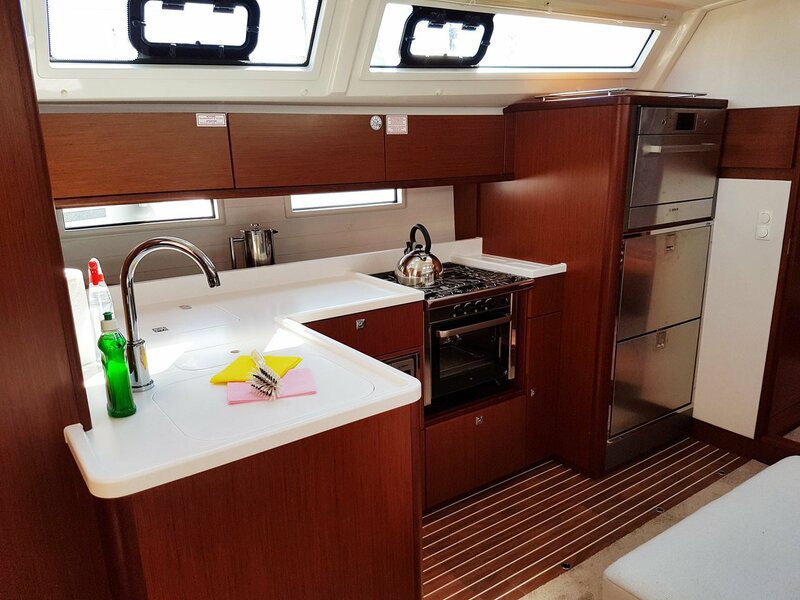 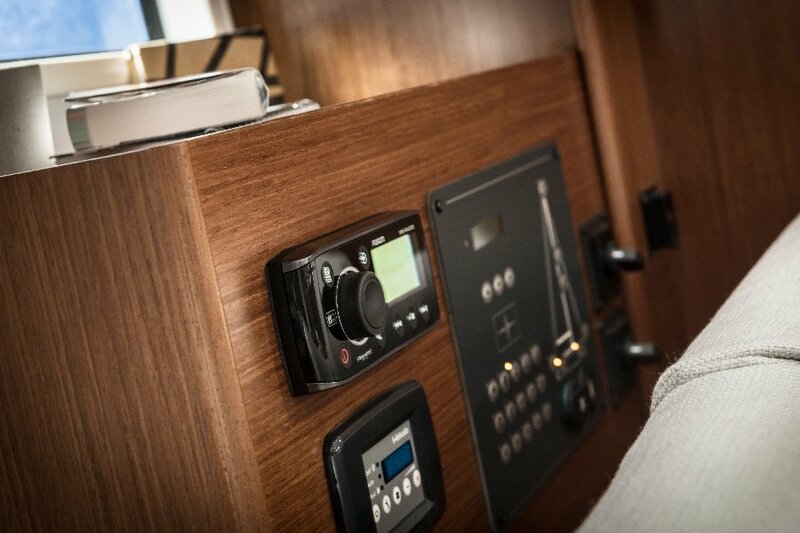 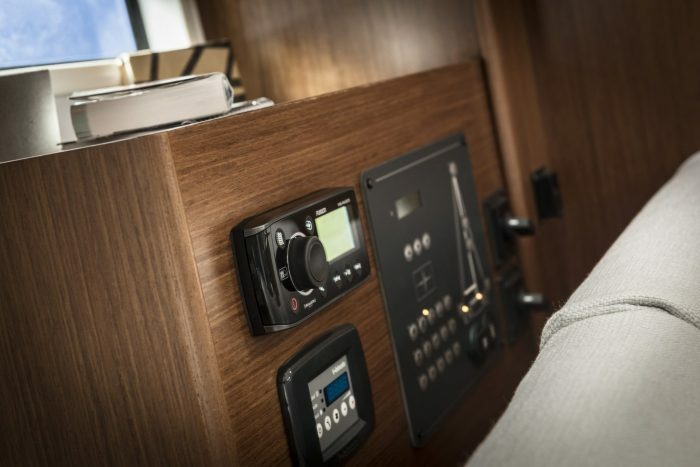 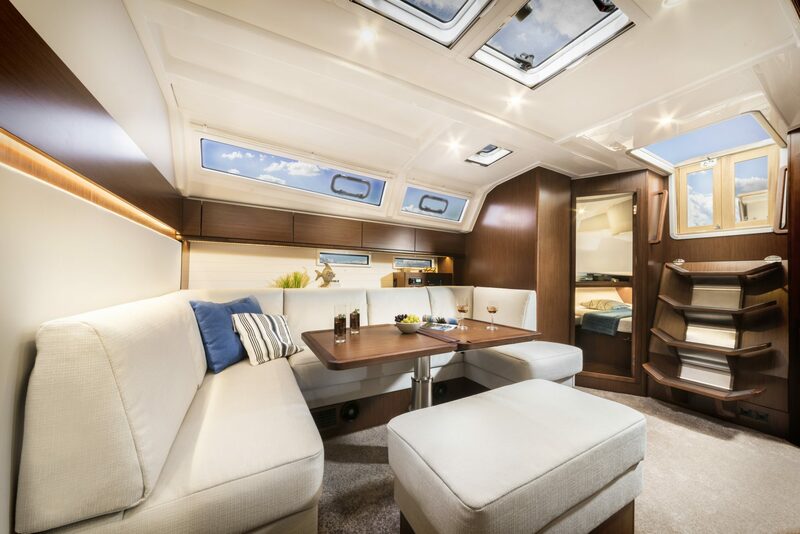 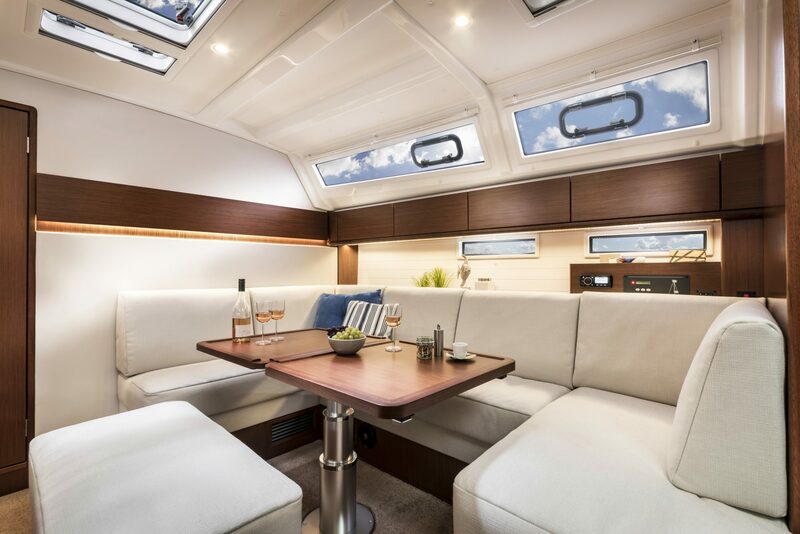 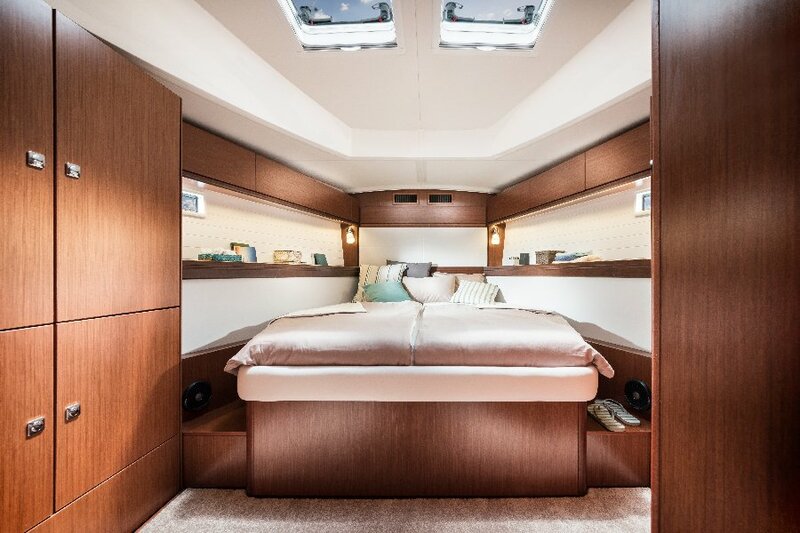 The STYLE package of the CRUISER 46, has many refinements like a high-quality culinary worktop, newly designed wall cupboards, material-covered bulkheads, lower-able dining room table and sumptuous lounge upholstery. 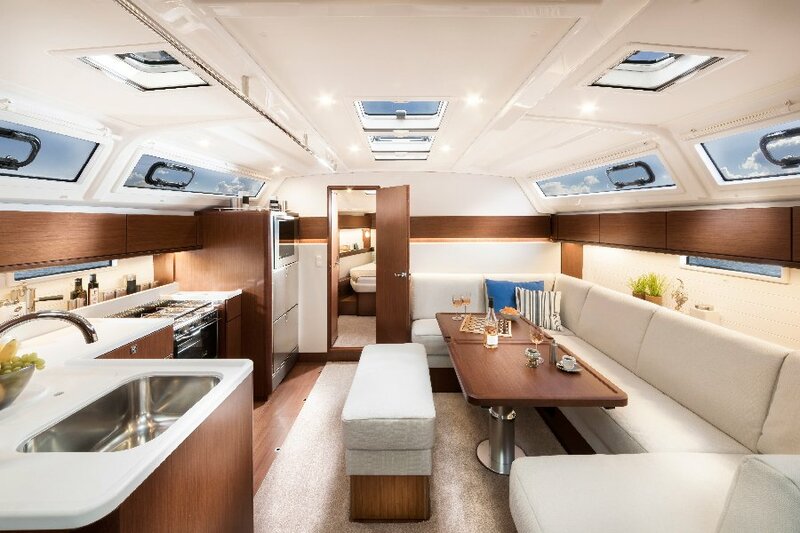 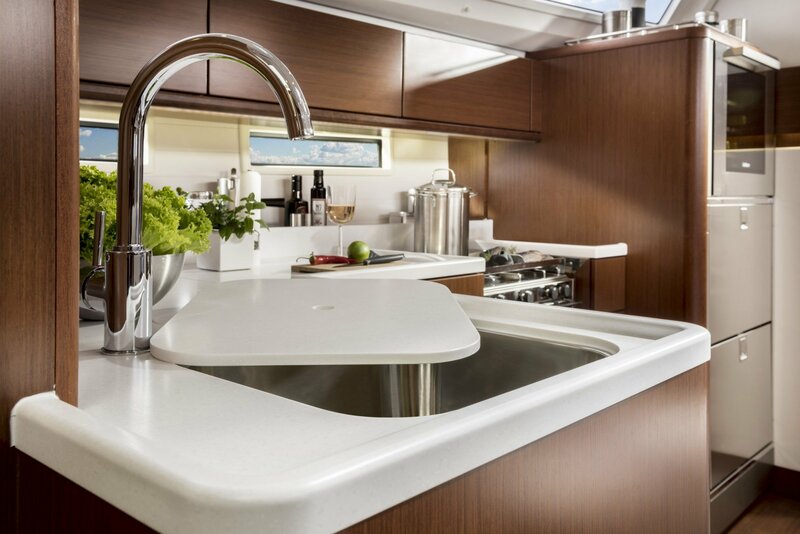 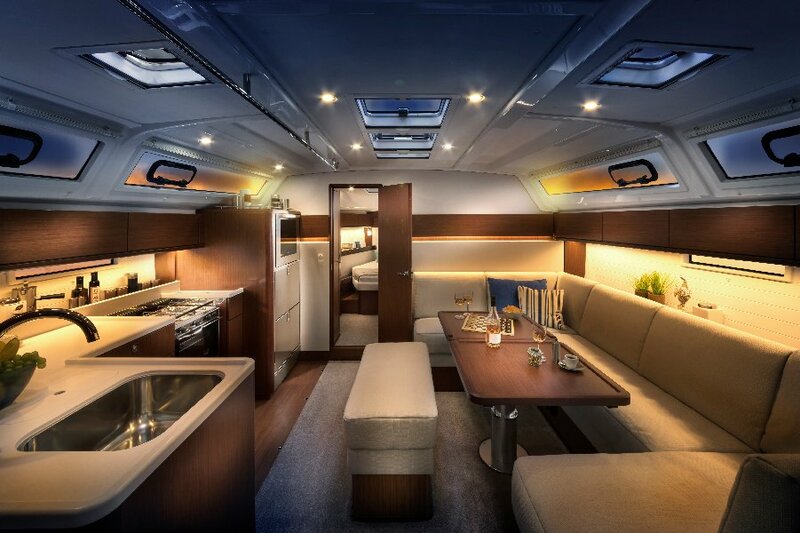 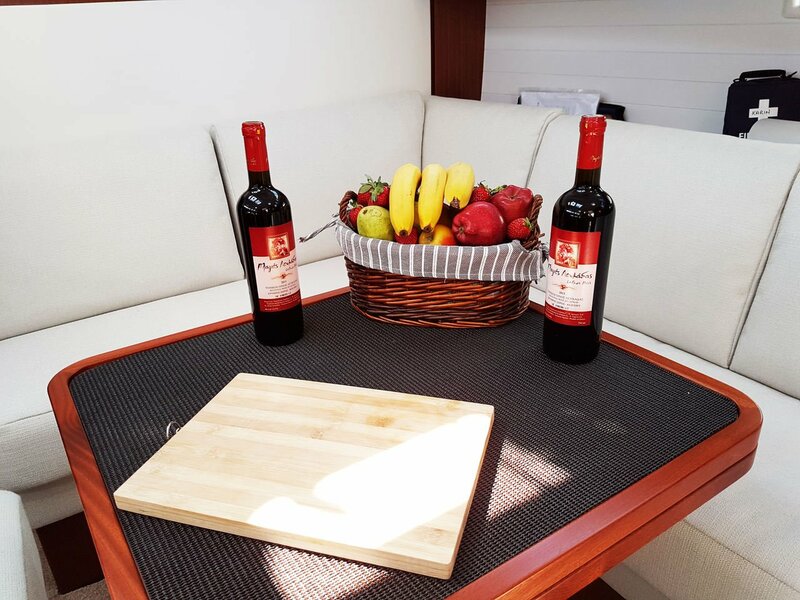 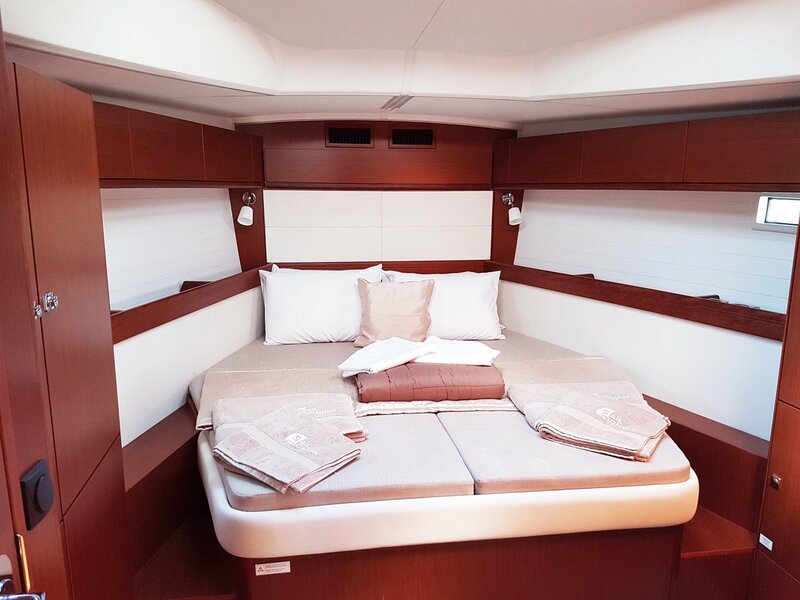 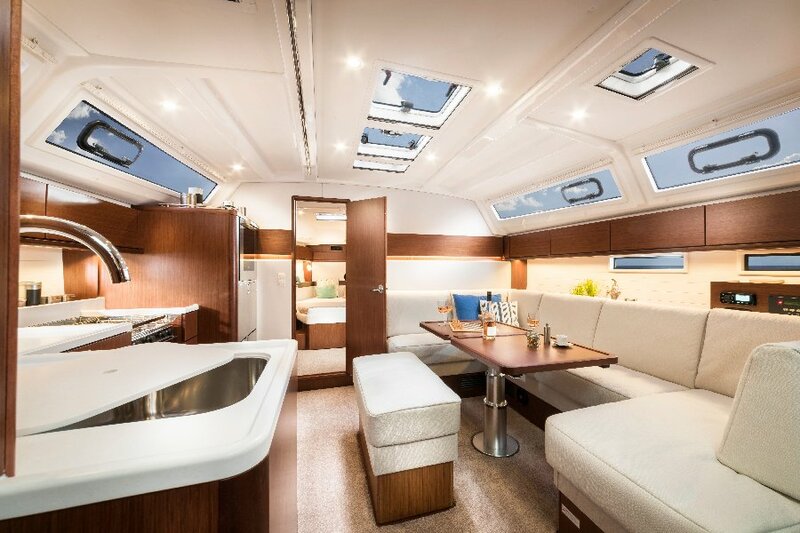 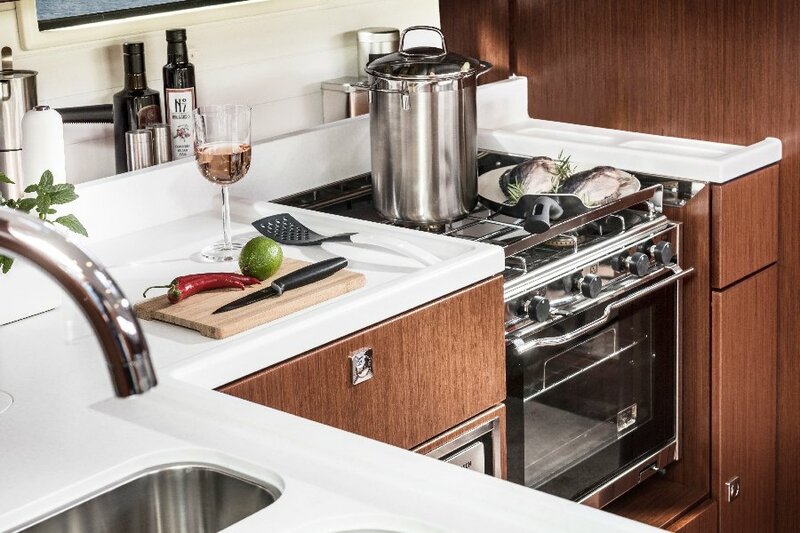 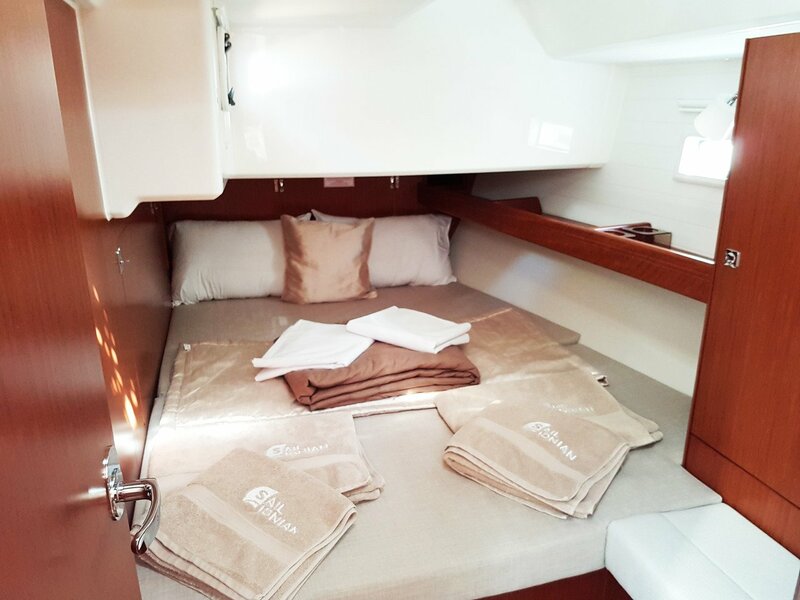 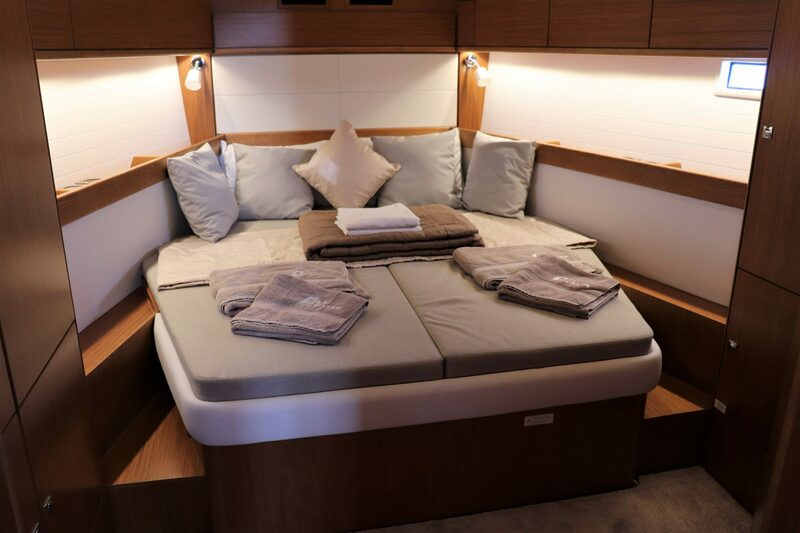 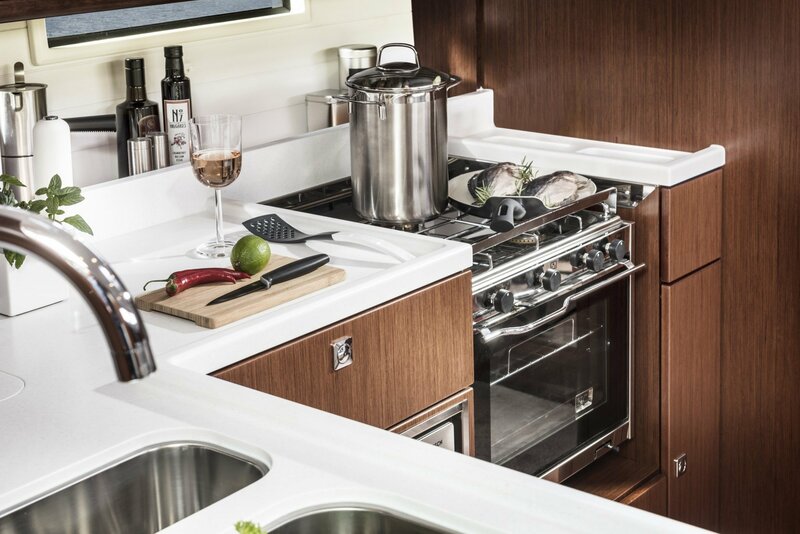 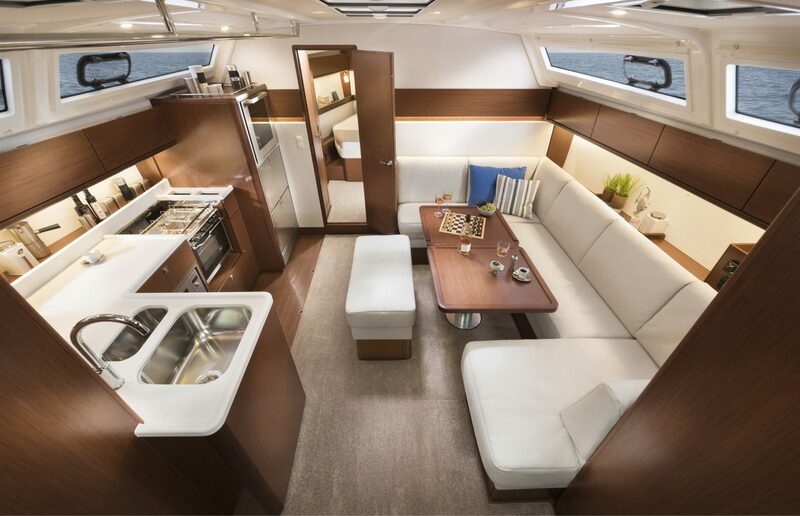 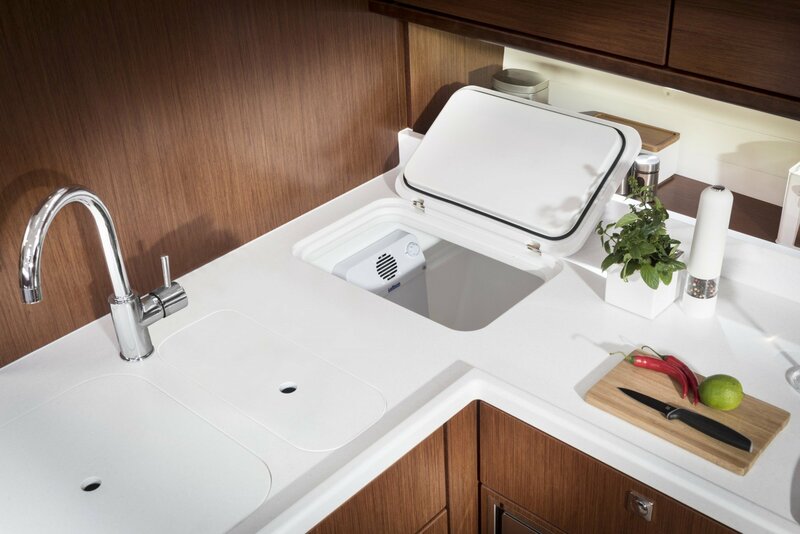 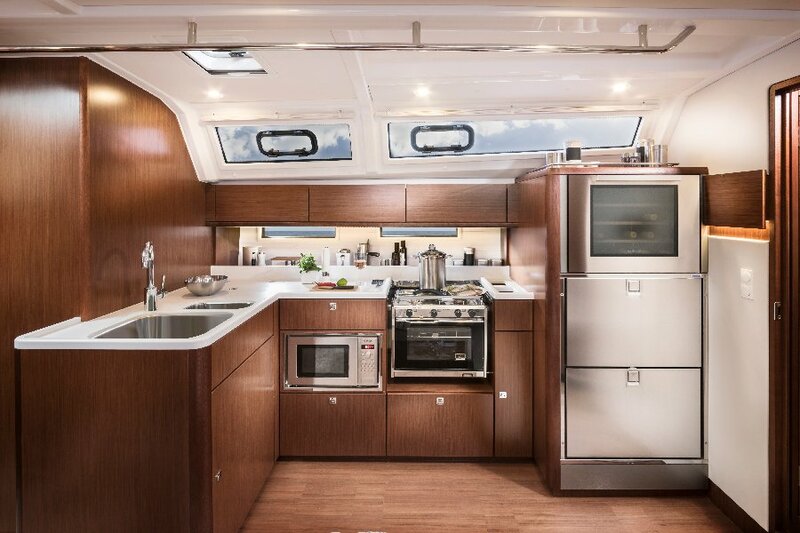 A new galley layout, high-grade stainless steel fridge and freezer belong to the new STYLE package of the CRUISER 46, like a high-quality culinary worktop, newly designed wall cupboards, material-covered bulkheads, lower-able dining room table and sumptuous lounge upholstery.